FOOD SERVICE MERCHANDISING can be as simple as a table top display for the dispensing of food products at a college, university, hotel, entertainment venue, office break room or any other hospitality area. 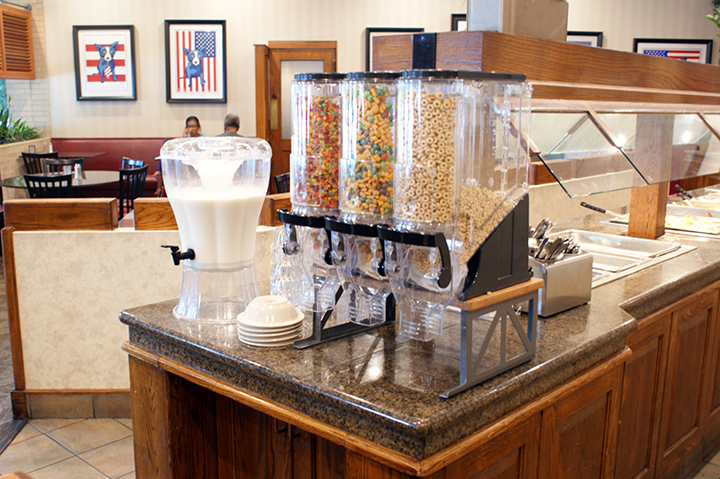 The food can be complementary such as a cereal offering at a hotel breakfast buffet, or snacks for purchase where you have a few square feet available of countertop. Our merchandisers are made of durable, powder coated steel and bamboo woods, and feature the award winning Trade Fixtures Gravity, and Scoop bins. You can purchase the displays below with, or without the bins.